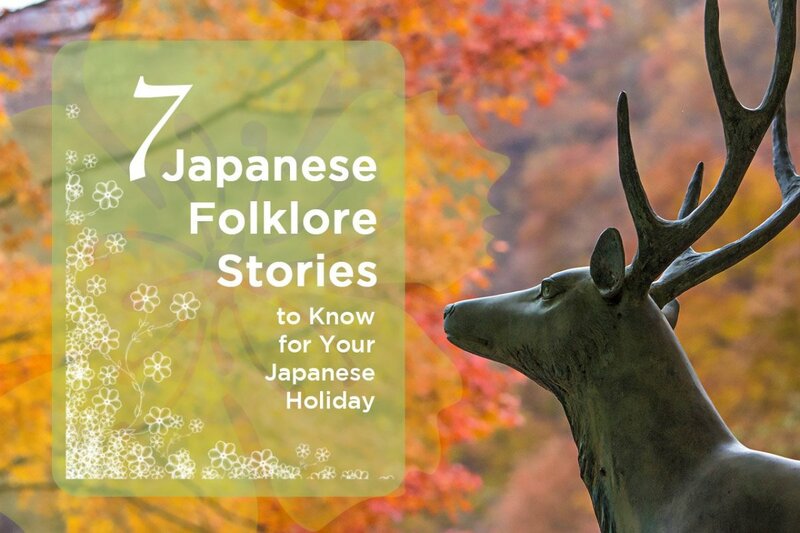 These beloved Japanese folklore stories and legends will enliven your Japanese holiday. 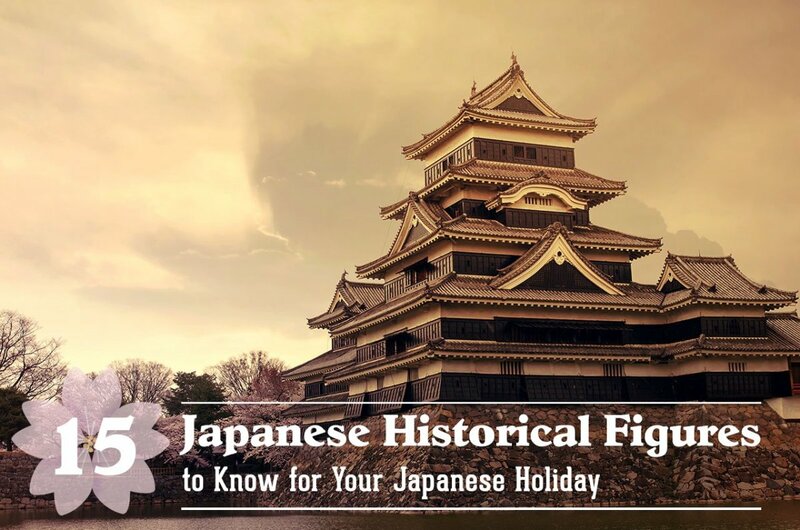 You might feel these Japanese folklore stories are all just old wives’ tales, but knowing who the Peach Boy is or why the Snow Woman is terrifying will spice up your Japanese holiday in more ways than one. Hands-down the most famous and beloved hero in Japanese folklore stories, Momotarō means “peach eldest son” in Japanese and refers to the hero’s mythical birth from a peach. Said peach was found by an elderly, childless woman while washing clothes at a stream. When her husband split the fruit, a healthy boy jumped out from within. Overjoyed, the couple considered the child a gift from heaven and raised him as their own. Years later, a teenage Momotarō embarked on a perilous journey to a distant island to combat demon brigands. During his expedition, he recruited a grand army, one which consisted of a talking dog, a monkey, and a pheasant. Together with his faithful retainers, Momotarō defeated the demons and returned home with their riches. His family and he thereafter lived in great comfort and fame. 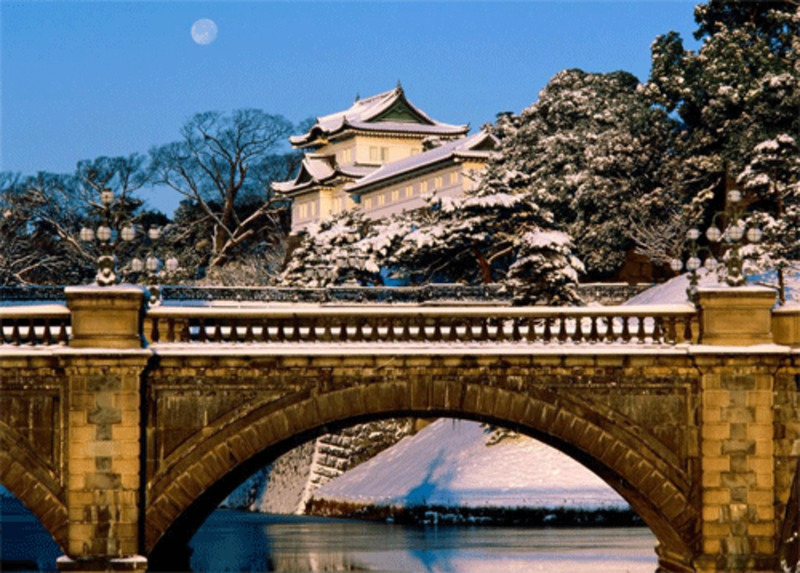 This quirky Japanese folklore story originated from the Okayama region. Today, Momotarō is the informal tourist mascot for Okayama City, often found on souvenirs and gifts. The island of the demons is said to be Megijima, a small isle located across the Seto Inland Sea from Okayama City near Takamatsu. Momotarō is one of the most frequently used or referenced legendary heroes in Japanese popular media. He has appeared in games, Manga, Anime, etc. He is often also used as a role model in Japanese children’s books. In some versions of the folktale, Momotarō’s parents gave him a stick of three kibi-dango before he left home. The young hero subsequently used these sticky sweets to recruit the dog, monkey, and pheasant. Expectedly, kibi-dango is nowadays a popular souvenir/sweet in Okayama Prefecture. Statue of Momotarō and his army outside Okayama Station. 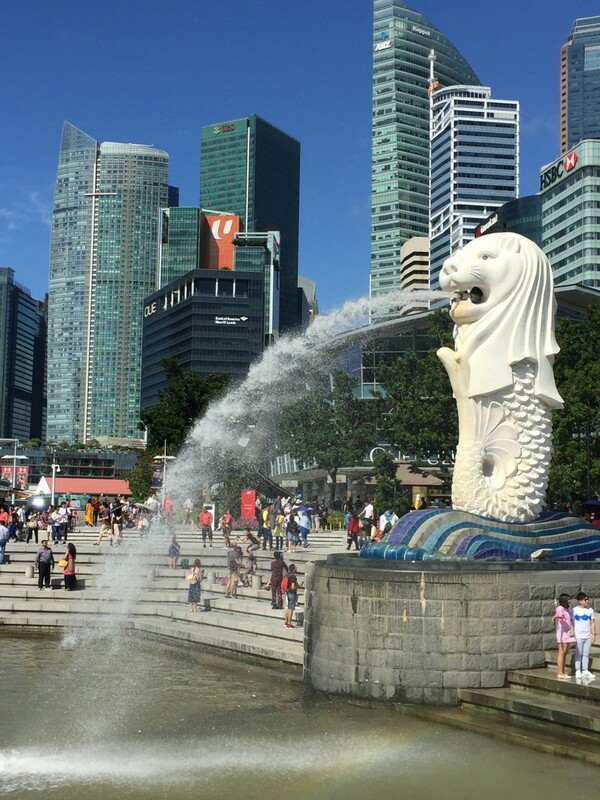 The legendary hero is also found throughout the city on souvenirs and public installations. The strange Japanese fairy tale of Urashima Tarō involved a young fisherman who saved a giant sea turtle from bullying by children. As gratitude, the turtle, who could speak, ferried Tarō to the mythical underwater dragon palace known as Ryugu. 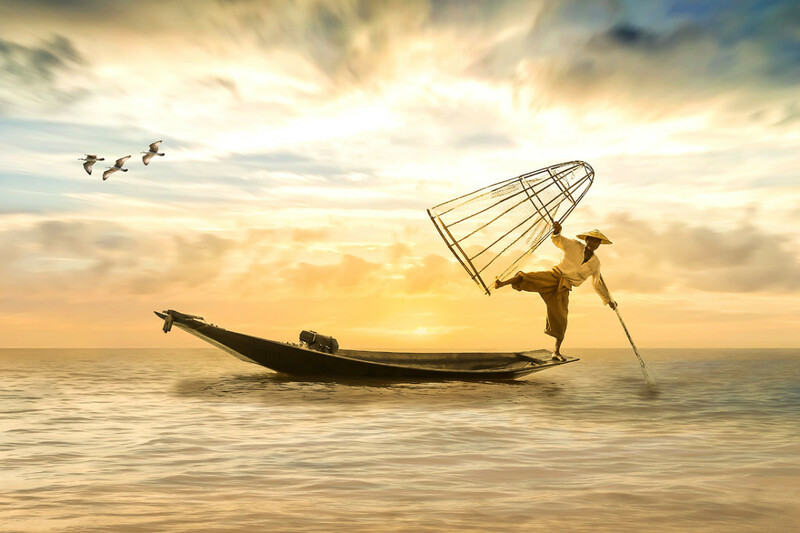 There, the young fisherman was warmly received and entertained by Otohime, the beautiful princess of the court, and lived in great luxury for a while. Before long, though, Tarō tired of the opulence and yearned to return home to his family. As a parting gift, Otohime gave Tarō a jeweled box, warning Tarō at the same time never to open the box no matter the circumstances. Once back at his village, Tarō was shocked to discover everything had changed. Not only did he recognize nobody, even the structures in his village were different. Upon speaking to some strangers, Tarō deduced to his horror that decades had passed since his departure and that his parents had long since died. Distraught, Tarō forgot Otohime’s warning and opened the parting gift. A cloud of white smoke then emerged from the box, completely engulfing Tarō. After the smoke dissipated, Tarō was transformed into a white-haired, elderly man. It is generally believed that the box, known as tamatebako in Japanese, contained Tarō’s age. Time passes differently in the dragon palace. The days Tarō spent there equated to years in the mortal world. The tragic tale of Urashima Tarō is one of the oldest Japanese folklore stories, circulated as early as the fifth century. 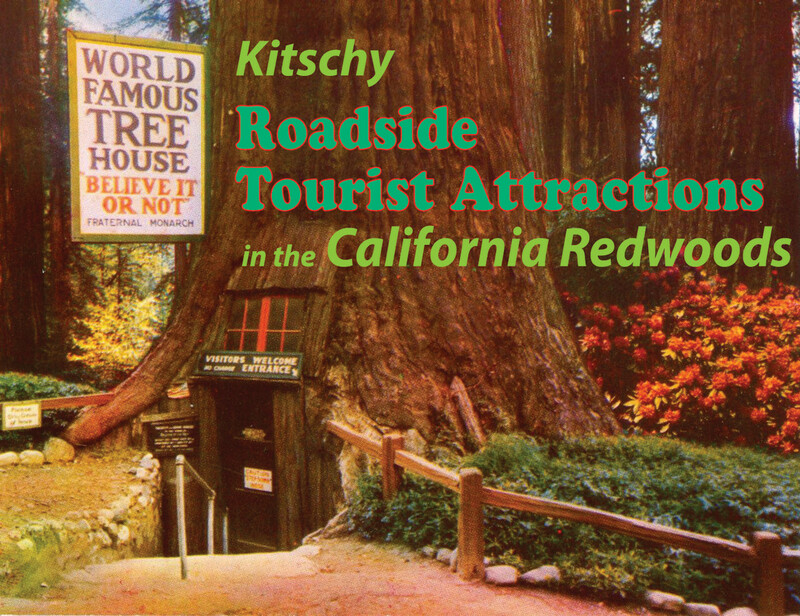 As is often the case with such stories, there are numerous versions of the story today. While the story itself is seldom referenced in whole on tourist souvenirs, the dragon palace and Otohime are occasionally used as design motifs on souvenir packagings. Tarō himself has appeared in video games and Anime too. The supposed spirit of the young fisherman is enshrined at the rather remote Urashima Shrine in northern Kyoto province. There is a statue of him at the shrine. There is also one of Otohime. Kagoshima Prefecture, at the southern tip of Japan, is said to be Tarō’s birthplace. The Ryugu Shrine at Ibutsuki, just outside of Kagoshima City, contains beautifully lacquered structures inspired by descriptions of the dragon palace. 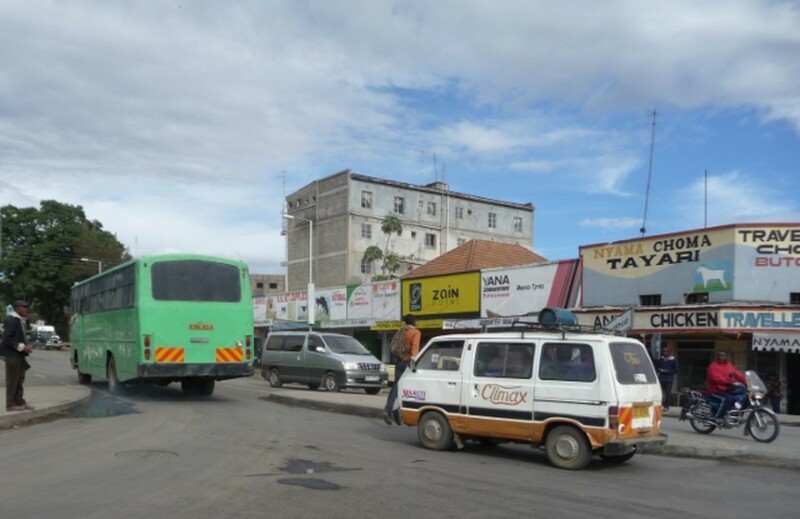 What is the moral of this tragic story? If any at all? This is often debatable. What is the moral behind the tragic Japanese folklore story of Urashima Tarō? If any? The ghastly tale of Okiku and the ten plates is one of the most well-known Japanese ghost stories, laden with elements of social commentary as well as karmic retribution. In the most popular folk version, a servant girl named Okiku worked for the tyrannical samurai Aoyama Tessan. Frustrated by Okiku’s repeated rejection of his advances, Aoyama eventually framed Okiku for the loss of a precious plate, one of a set of ten. Terrified and frenzied, Okiku repeatedly counted the remaining plates, naturally always ending with no more than nine. Still unaware of what was happening, she then unwisely rejected Aoyama’s amorous advances again. Incensed, the samurai had the young servant thrown into a well. Aoyama would soon suffer his due comeuppance. Okiku transformed into a vengeful Japanese spirit after death and obsessively recounted the plates every night. Whenever she reached the missing tenth plate, she would shirek hideously in fear and frustration. How the story ends then depends on which version one is reading. In one, Okiku’s spirit was appeased by a priest. In another, Aoyama was driven mad and committed suicide. In yet another version, Okiku’s spirit was finally put to rest, after someone shouted out the number ten before she screamed. Like all other famous Japanese folklore stories, there are several versions of this tale today. A significantly different version took place at Himeji Castle and in that version, Okiku was the hapless victim of a political ploy. (The part about the ten dishes remains unchanged) Today, there is a well in Himeji Castle said to be the one Okiku was thrown into. Another version written by Kido Okamoto depicted Okiku as far less innocent. In that version, she was a servant in love with Aoyama, with the samurai refusing to marry her because of a more profitable marriage proposal. As a test of love, Okiku broke the tenth plate. Okiku’s tragic story was supposedly the inspiration for the famous Japanese horror movie series, The Ring. 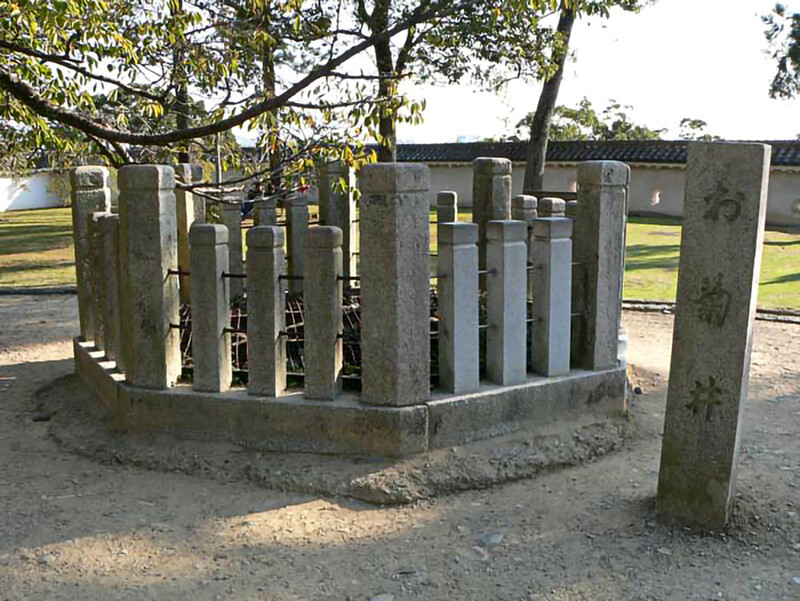 Okiku's Well at Himeji Castle. As you can see, it's heavily fenced up as a precaution. Yuki-Onna translates to “snow woman” in English and refers to a pale demoness who freezes her victims to death with her icy breath. Japanese yokai stories involving her have existed for a long time, but the most famous version is undoubtedly the revised version by 19th-century writer Lafcadio Hearn. In Hearn’s version, two woodcutters, one elderly and one young, had the misfortune of encountering a Yuki-Onna while trapped in the woods by a snowstorm. While the older woodcutter was frozen to death by the demoness, the young one, Minokichi, was spared. Before leaving, the Yuki-Onna warned Minokichi never to tell anybody about the encounter. Should he do so, she would surely return to kill him. Years later, Minokichi is happily married to a beautiful wife named Oyuki. Not only was Oyuki a caring mother and a devoted wife, she also mysteriously did not age, retaining her youthful looks year after year. One evening, while their children were asleep, Minokichi thoughtlessly revealed his encounter with the Yuki-Onna, musing whether it was all a dream or a genuine brush with death. Upon him completing his tale, Oyuki stood up and revealed her true form, that of the Yuki-Onna from the fateful evening. After reminding Minokichi about her previous threat, she made as if to kill him but ultimately spared his life for the sake of their children. Thereafter she vanished, never to be seen again. The most common illustration of the Yuki-Onna is that of a ghastly white but beautiful young woman, wearing a white, blue, or silver kimono. Given her murderous nature, you are unlikely to see the Yuki-Onna portrayed in a positive light during your Japanese holiday. However, she often appears in Manga, Anime, and video games. In hobbyist areas like Akihabara, you might also encounter posters or figurines of her. At the snowy landscapes of Hida and Niigata, etc, it is not at all hard to imagine such a fearsome demoness lurking amidst the snow. The Irish writer Lafcadio Hearn is internationally famous for his compilations of traditional Japanese folklore stories. He spent his later life in Japan, married to a Japanese woman. 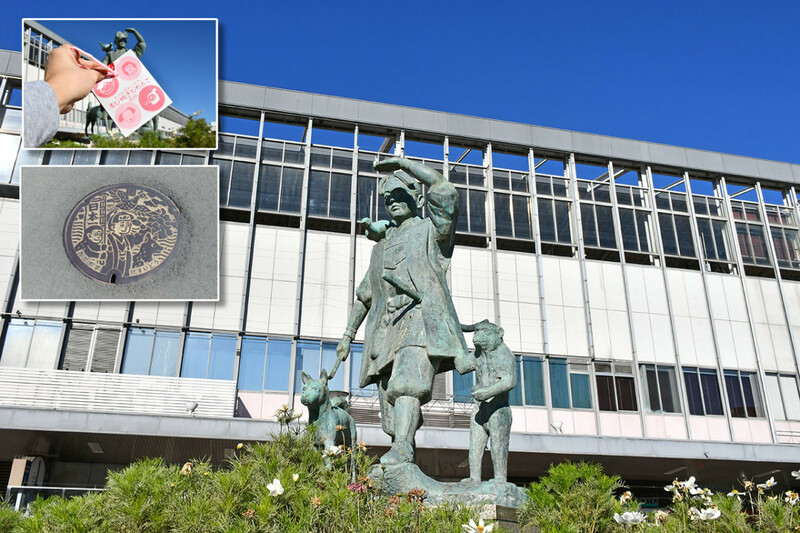 Today, his home and memorial museum are among the top attractions of Matsue City. Hearn is also known as Koizumi Yakumo in Japan. “Yakumo” is nowadays the Japan Railways limited express service that commutes between Matsue and Okayama City. In 1964, Masaki Kobayashi adapted four tales from Hearn’s Kwaidan into a horror anthology of the same name. Yuki-Onna was one of the tales. 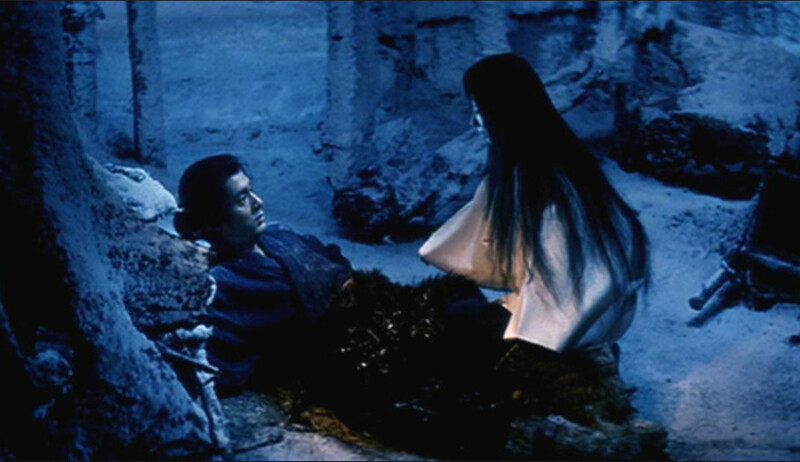 The encounter scene from 1964's Kwaidan. Like other civilizations with over 1,000 years of history, Japanese heritage is full of mythical heroes and warriors, one of which was Minamoto no Yorimitsu. A renowned warrior and military commander who served the Fujiwara Regents during the Heian Period, Yorimitsu is today associated with several Japanese folklore stories and legends. The quartet is collectively remembered as the Shitennō, or Four Guardian Kings. Of all the legends linked to him, Yorimitsu is most famously remembered for the mythical slaying of Shuten-dōji (酒呑童子). During the reign of Emperor Ichijō, Heian-kyō (Kyoto) was besieged by a monstrous ogre. The ogre not only kidnapped many women to be his servants—often, he also killed without warning and ate the flesh of his victims. Under the Emperor’s orders, Yorimitsu and his retainers journeyed into the mountains surrounding Heian-kyō and managed to fool the ogre into giving them lodging. After learning the ogre’s fondness for rice wine, Yorimitsu incapacitated the monster by offering him copious amounts of the drink. With his retainers holding down Shuten-dōji, Yorimitsu then decapitated the wicked monster. The phrase “Shuten” literally means alcohol-drinking in Japanese. In most versions of the story, the wine used by Yorimitsu was a gift from the gods. The Karatsu Kunchi festival in Karatsu, Kyūshū, features hikiyama floats, one of which is helmet-shaped and inspired by Yorimitsu’s expedition. Supposedly, Shuten-dōji’s head continued to snap at Yorimitsu after decapitation. Yorimitsu survived by donning the helmets of his retainers. Shuten-dōji’s lair is generally believed to be Mount Ibuki on the outskirts of Kyoto. Other versions of the tale also claim that Shuten-dōji was displaced from his original dwelling in the mountains by the construction of Enryaku-ji on Mount Hiei. Both Mount Ibuki and Enryaku-ji are popular travel destinations today. Other than the ogre, Yorimitsu and his retainers are also famous for the slaying of the tsuchigumo. The “earth spider” was a monstrous tarantula that attempted to assassinate Yorimitsu. 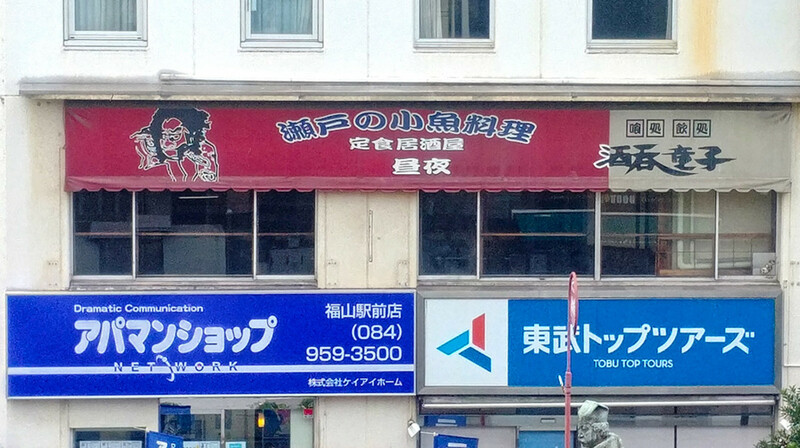 An izakaya in Fukuyama named after Shuten-dōji. There exist different versions of Kintarō’s origin. Some say the “golden boy” was the son of a samurai, who was raised by his mother in the forest after she fled there with him to escape family feuds. Others claim Kintarō was abandoned in the forest by his mother and subsequently raised by a mountain witch. Regardless of origin, Kantarō grew up into a healthy and bossy boy gifted with supernatural strength and the ability to converse with animals. Today, the most common depiction of him is that of a chubby boy wearing only a bib with the kanji character for gold, wielding a hatchet and gripping a carp. In adulthood, Kintarō achieved further fame by becoming one of the four legendary retainers of Minamoto no Yorimitsu (see above). He also changed his name to Sakata no Kintoki. Together with Yorimitsu and the other retainers, the adult Kintarō vanquished various mythical threats. His name thereafter was permanently associated with valor and strength in Japanese culture. 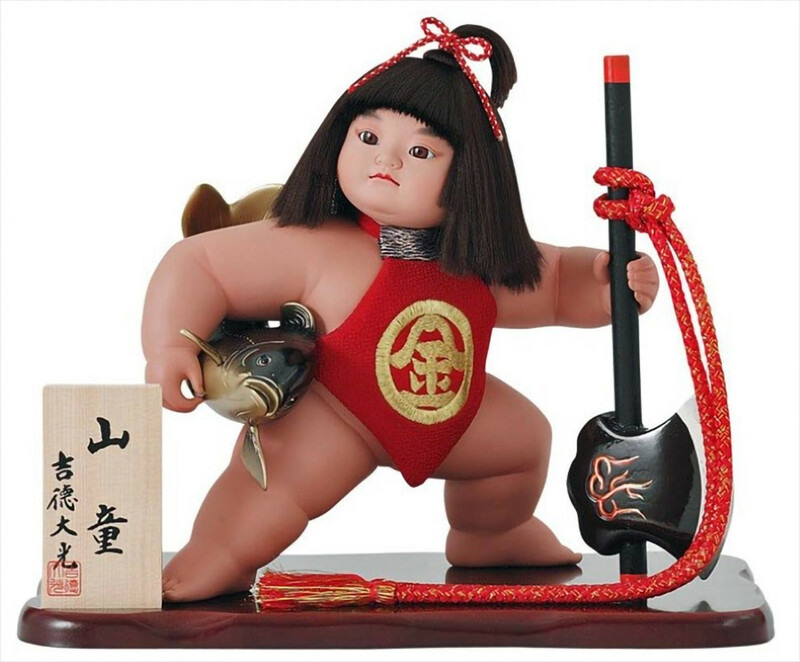 Kintarō is regarded as the personification of healthy boyhood. Many Japanese families put up a Kintarō Doll on Boy’s Day (nowadays known as Children’s Day). Such dolls are widely sold as tourist souvenirs too. Kintarō, as expected, has appeared in many Manga, Anime, and video games. The protagonist of the hit Anime series, Gintama, is loosely named after Kintarō’s adult name. As one of the most beloved heroes in Japanese folklore stories, Kintarō was a very popular subject in Edo-Period Ukiyo paintings. 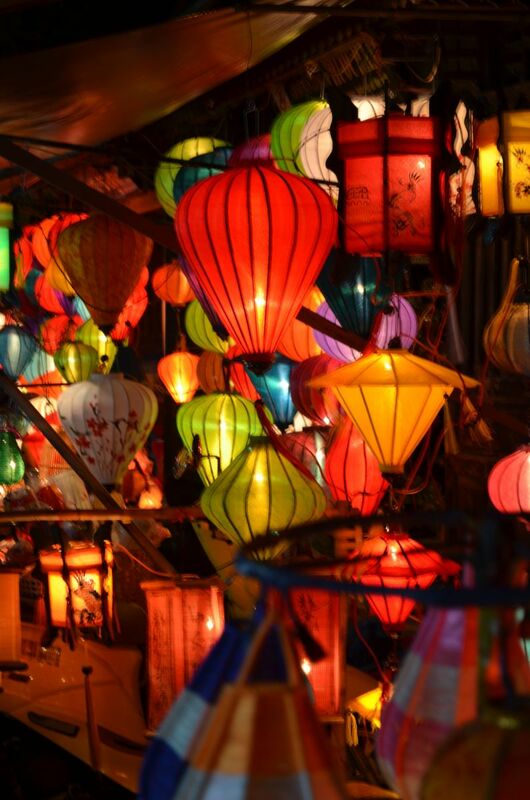 Replicas of such paintings are widely sold as tourist souvenirs too. Of note, Kintarō is often shown wielding a hatchet for he was supposedly given one by his mother to assist local woodcutters. The carp he grips is actually a buddy of his. Kintarō is said to be quite fond of sumo wrestling with his animal buddies. These opponents include the huge carp he is usually shown with. Much like the story of Momotarō, Kaguya-Hime was found by a childless woodcutter within a mysterious, shining stalk of bamboo. 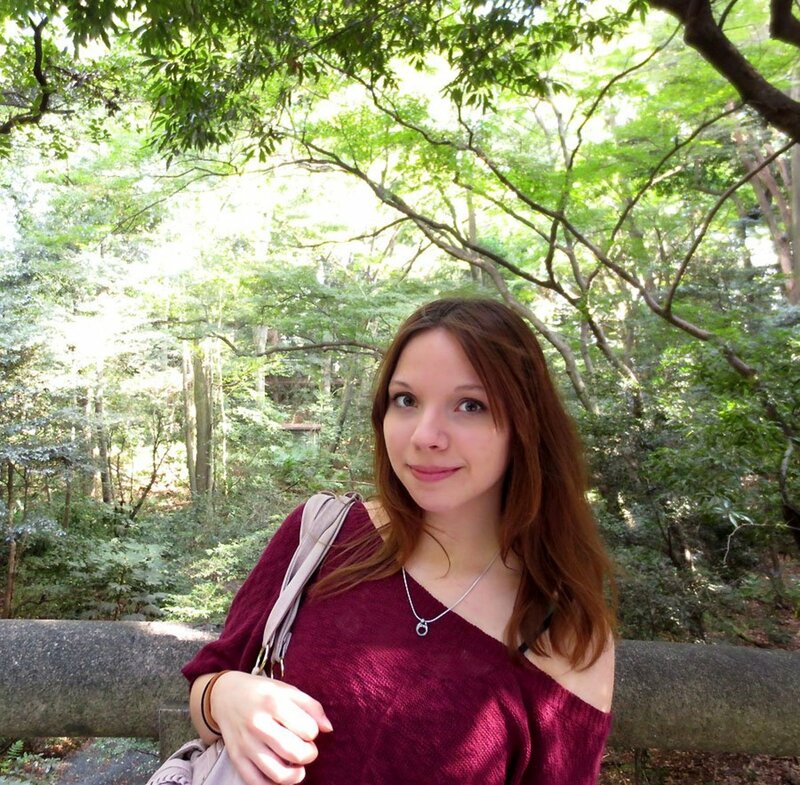 She grew up into a woman of extraordinary beauty, with the woodcutter also became rich as he regularly found gold within bamboo stalks after adopting Kaguya-Hime. In time, Kaguya-Hime’s beauty became so famous she was repeatedly approached by aristocrats for marriage, all of whom she either flatly turned down or dispatched by requesting impossible gifts. Eventually, the unearthly beauty revealed she was not of our world and must one day return to the moon, her true home. True to her prediction, she was ultimately retrieved by an entourage of heavenly guards. After ascension, all that was left of her were a few handwritten notes, her robe, and the remnants of the elixir of immortality she ingested before departing. The Japanese Emperor also courted Kaguya-Hime. It was while declining his hand in marriage that Kaguya-Hime revealed she was from the moon. 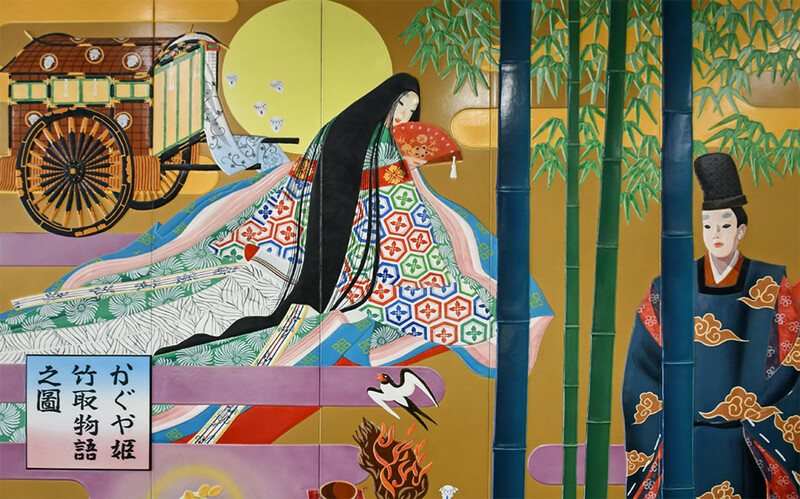 A lovely mural of Kaguya-Hime can be seen at the Shin-Fuji Shinkansen Station. On clear days, Mount Fuji is fully visible from the station. It is unclear why Kaguya-Hime was sent to live in the mortal world. Some versions state she was temporarily exiled for an offense. Others claim she was fleeing from lunar civil conflict. Of note, the trope of childless couples discovering supernatural children in the wilderness is a key feature of many Japanese folklore stories. Mural of Kaguya-Hime at Shin Fuji Shinkansen Station. Of note, there are several other Japanese folklore stories associated with magnificent Mount Fuji. Hey Linda, thanks for commenting. 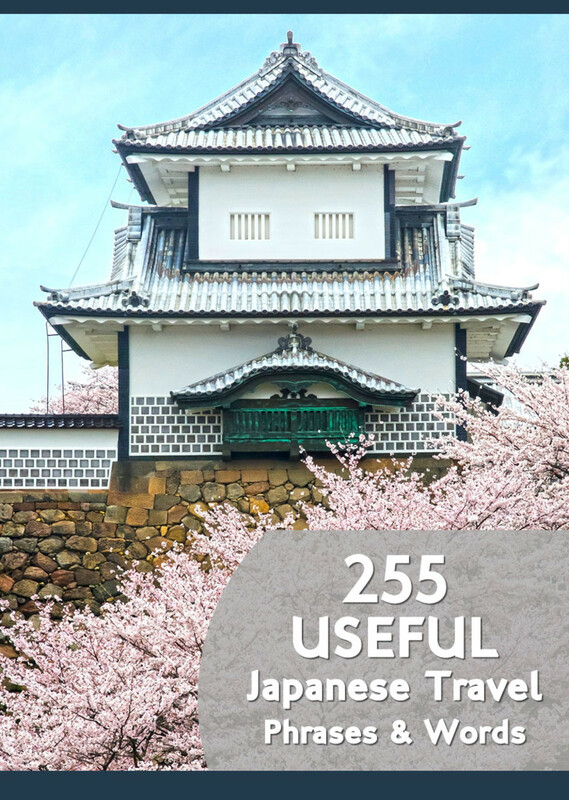 Yes, for a small country, Japan has an astounding amount of folklore stories. A good many are pretty macabre, thus entertaining too. These are very interesting stories. I enjoyed reading all of them. Japan seems to have a rich heritage of folklore stories.